Hilton College has a new faculty member! This fall, Assistant Professor Scott Taylor Jr. is teaching Hospitality Cost Controls and Beverage Management, bringing more than 15 years of experience in food & beverage and retail to the classroom. Initially a marketing major, Dr. Taylor wanted to work for Nike, but changed his mind during his sophomore year. To further develop his natural talent in the kitchen, Dr. Taylor switched majors and earned his bachelor’s degree in Restaurant & Tourism Management and his master’s in Food Science from the University of Missouri. He then moved to the Windy City to work under Bravo’s “Top Chef” finalist Heather Terhune at Sable Kitchen & Bar inside Kimpton Hotel Palomar Chicago. Four years later, after working in management-level positions with DMK Restaurants and Francesca’s Restaurants, Dr. Taylor returned to academics to pursue his Ph.D. in Hotel, Restaurant & Tourism Management from the University of South Carolina. When Associate Professor Karl Titz retired in May and a teaching position opened at the College, Dr. Taylor knew he would be the perfect fit. He already had established connections with several faculty members through research collaborations and networking, including at the 22nd Annual Graduate Education & Graduate Student Research Conference in Hospitality & Tourism, held at Hilton College in 2017. Aside from meeting his new students, Dr. Taylor has been looking forward to exploring Houston’s food scene. He lives in the East End with his fiancé, Keyara, a recruiter for the hospitality industry who also shares his F&B expertise. 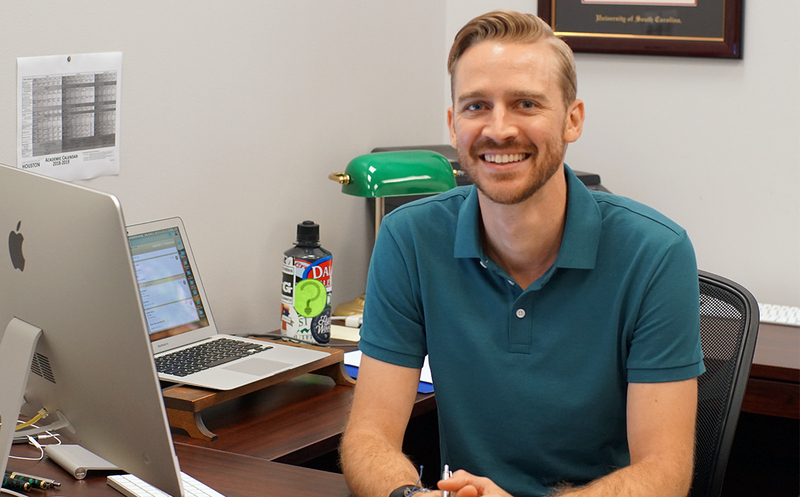 Click here to learn more about Dr. Taylor, and connect with him through email or during office hours in Room 239-C.